Billie Eilish is only 15 years old, but she's already a formidable talent. Just check out last year's debut single Ocean Eyes, an astonishingly assured piece of songwriting, in which she compares falling in love to plummeting off a cliff under "napalm skies". Her new single, Bellyache, is even more striking. I'd call it a murder ballad, except it's not a ballad: It's a shadowy, brooding pop banger that fantasises about finishing off her lover and leaving his body to rot in the gutter. Less "psycho killer, q'uest que c'est", and more "Oui oui, je suis un psycho killer, et puis quoi?" The video picks up after the gory bits, with Billie on the run from the law, dragging a trailer of her possessions behind her, and doing a victory dance in the desert like any normal murderer would. But, as the singer told Vice, Bellyache is actually a song "about the concept of guilt. "When you do things in the moment because you feel so strongly about them, in the end you're left with the decision you made. "That line: 'I thought that I'd feel better, but now I gotta bellyache' is about how you kinda know that you're the worst but you don't care. It's about a psychopath who regrets being a psychopath but doesn't really care. The song is pretty much perfect and the video is just as riveting. 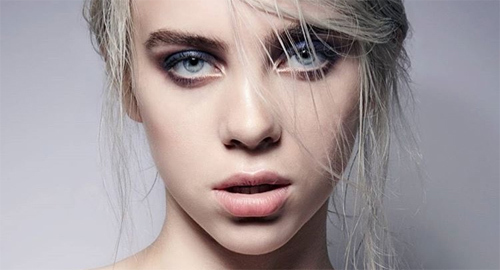 Billie Eilish is a star in the making.